After a long winter, spring is officially here in Charlotte, NC. The days may be getting warmer, but the nights can still be chilly during early spring. Space heaters can be a great supplemental heat option for a little extra warmth just when you need it. However, they need to be used safely. Here are Andersen Heating & Cooling’s top 4 space heater safety tips. If the worst case scenario happens, your home needs to be prepared. 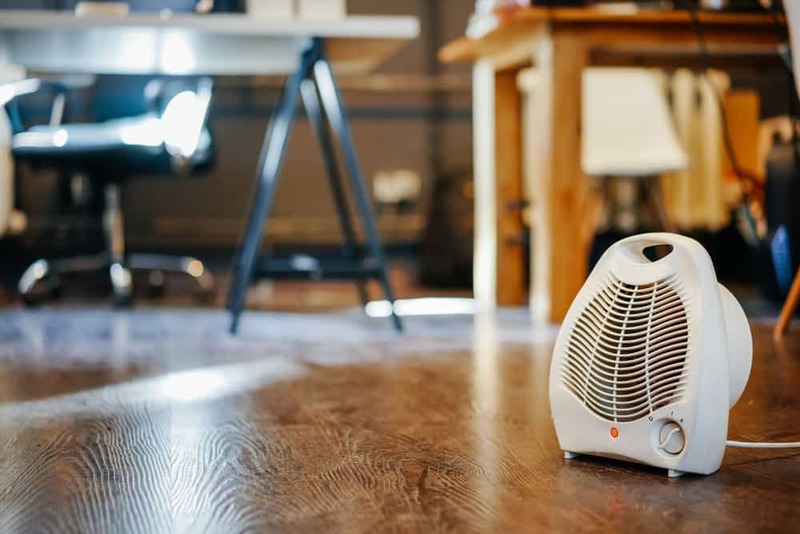 If it’s not used properly, your space heater could potentially start a fire. This is one of the many reasons you need working smoke detectors in your home. Test your smoke detectors to make sure the batteries are fresh this spring. In addition, check the date on the back of the device to make sure it hasn’t expired. Space heaters should never be left on in empty rooms. Always turn off your space heater before you leave a room. Along with being a serious fire hazard, this is a waste of energy. Why use extra heat in an empty room? Turn off your space heaters for lower energy bills this spring. It may seem logical to plug your space heater into a power strip. You use the power strip for several other electrical devices, so why not the space heater? Well, power strips and extension cords aren’t made to deliver the current needed to power space heaters. In fact, they can even overheat and burn. Always plug your space heater into the wall. Find an outlet in a clear area to plug your space heater into. It shouldn’t be near any furniture or bedding that can easily catch fire. Also, make sure it’s not in a high traffic area of your home. Space heaters should be clear of anywhere children or pets could easily trip over the cord or come into contact with the unit.